Home » Latest » Graffiti » A CAMEROONIAN? This is what the APC’s defense team wants us to believe. 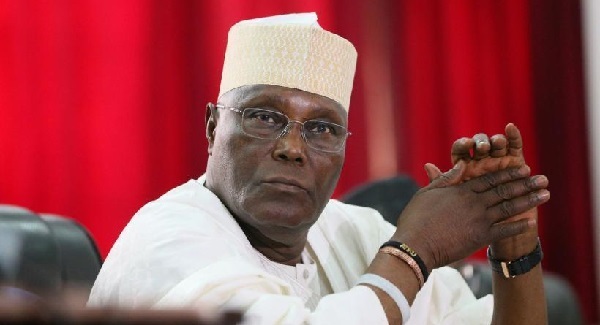 In submitting their defense at the ongoing Presidential Elections Tribunal, they are reported to have alleged that the Presidential candidate of the PDP in the last elections and former Vice President, Alhaj Atiku Abubakar, was not Nigerian by birth, and quoting some extant part of the constitution to defend the position, have concluded that he should never have even taken part in the elections in the first place. Well, one has to be very careful in jumping into these kinds of discourse, especially when one is not technically qualified to discuss such matters. You see those who have the necessary qualifications and depth can go ahead to discuss the correctness or otherwise of this assertion and the Tribunal provides a veritable platform for that engagement. Anyways, for the rest of us, this throws up the question who is a Nigerian. This issue played itself out during the Lagos gubernatorial elections where people’s origins were boldly questioned as to who is a Lagosian? This same question has come to the centre with this position of the APC. For me, hinging a critical defense strategy on something this mundane, even if the constitution finally proves them right, is kind of desperate. The issues on the table are very clear, was the election conducted under the proven and accepted guidelines ? Did they meet globally accepted and constitutionally prescribed standard of fair pay and transparency? So, coming to the defense on Atiku’s position that he felt short changed by the INEC and its operation with a poser on his citizenship is not only diversionary but childish to say the least. The same INEC cleared him not only for this elections but a series in his past. I would want to believe firmly that the process of his clearing involved background checks by the necessary bodies. So, throwing this up at this juncture is a little bit too late if you ask me. I think APC and its lawyers are playing with a dangerous fire with this positioning. Millions of Nigerians fall into Atiku’s category from the North-east down to the South east. The case of the Bakassi people come to mind here. Some of those islands have been ceded to Cameroun and those people still hold very dearly to their Nigerian citizenship and have been voted for and can actually vote. They should not look at this thing they are throwing up in isolation because of Atiku. They should look at the wider spectrum and its cascading effect on the integrity of the nation. Furthermore, a man has lived all his life in this country, paid taxes over five decades, held several offices including the second highest position in the and, held and received several sensitive information by virtue of these positions and then because he is pushing for a result he believes he sincerely has a case, we now throw these at him? What else can be this laughable? When he was winning elections in Adamawa and becoming Vice President, contributing significantly to economic discourse we did not know that he was born before the plebiscite. 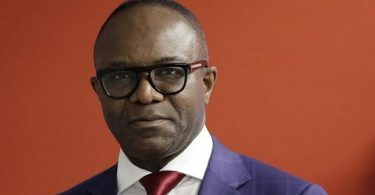 In that case, those who where born before the 1960 independence are not Nigerians, they were born in a territory that was known as the Niger Area and, therefore, cannot be seen as Nigerans. Please this is just very low. The question that needs to be answered is simple, were the elections held under a high level of integrity and transparency? Does Atiku have a position? Lets face this matter squarely and seek answers. Leave Cameroun out of it.